ISD Superintendent Doug Leisenring said all eight school superintendents met Tuesday to discuss the closures rather than the normal practice of waiting until early in the morning to check conditions before deciding to cancel classes. They then made the announcement Tuesday night. “We want to make sure that we make accurate decisions so it has always been the policy of the eight school districts in the Delta Schoolcraft ISD to get up in the morning, like 4 o’clock in the morning, to make sure the weather that is forecast actually hit the area,” Leisenring said. In this case, Leisenring said they had a high degree of confidence in the forecast. He also cited Gov. Gretchen Whitmer’s declaration of a state of emergency. Leisenring said wind chills below -30 poses a significant hazard to children, especially those who wait outside for a bus. “Not only that, in some of your bigger schools like Gladstone and Esky, they have kids walking to school. You’re not going to be able to walk very far with temperatures like today. We don’t want people getting frostbite, we don’t want people getting hurt,” he said. 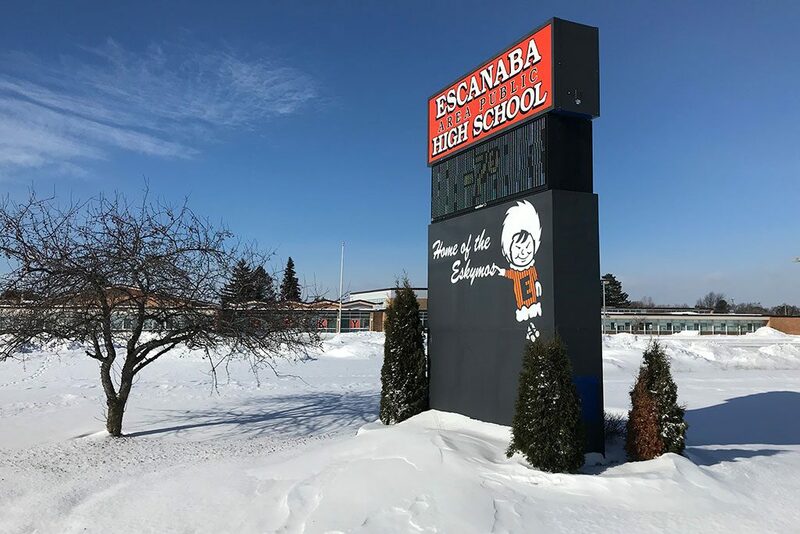 The school districts in the Delta Schoolcraft ISD are Escanaba, Gladstone, Rapid River, Bark River-Harris, Nah Tah Wahsh in Hannahville, Mid Peninsula, Big Bay de Noc and Manistique. Share the post "Eight schools in Delta Schoolcraft ISD close two days for frigid cold"
Categories: Delta County, Education, Featured, and Schoolcraft County.